The air hurts my face… why do I live in a place where the air hurts my face? We Northern Indiana Hoosiers are all really looking forward to Thursday when our high temperature is supposed to reach 3… yea. Last Saturday I hopped into my car to run up to the grocery store and as I started down my driveway through the blowing snow I noticed that my snow fence had literally been blown apart by the wind… yea. Not to be deterred, I pulled on down my driveway and realized it was snowing and blowing so hard that I could not see anything… a white out… yea. I figured if I drove really slow I could probably make it to the grocery store and back, so I creeped on into the neighborhood but was quickly forced to stop because I could not see anything but white. When the snow finally let up I discovered that I had driven into my neighbors front yard. I gave up on the grocery run, turned the car around and headed back home… and all I can say to the folks in my neighborhood is, hey… if you don’t like my driving, stay off the sidewalk. Funny — the saga of your “snow fence saga” continues. I remember you putting up the fence in preparation for winter! I came from Wisconsin/illinois, and remember driving through snow storms so strong and windy that we had to creep along while the wind nearly blew us off the road. In Arkansas, we receive two, calm inches of snow that fell while we slept. Pat, I know of these Illinois/Wisconsin winds you speak of. At some point in time, I owned a HIGH TOP conversion van that I drove to Chicago during Illinois high winds. I was blown all over the road, the worst thing I have ever driven in… I was a nervous wreck by the time I got there. Wow! 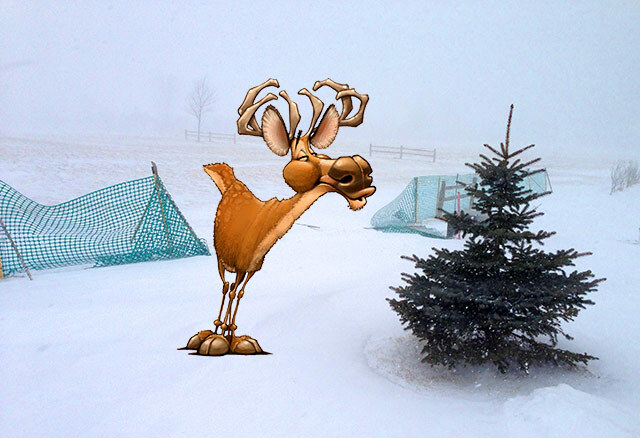 We usually have a good amount of snow during the winter….but this year…..nothing. Temps are in the 50’s and 60’s. We’re in trouble this summer…water shortage. We were in balmy central Florida last weekend, so needless to say, this is a cold slap in the face after that.